Entertaining Games, Inc. was founded by Pierre Maloka in 2000 with the specific purpose of helping projects push the envelope of what can be done, while recognizing the limitations of the various platforms being targeted. We are known as people with formidable technical skills as well as great leadership abilities. 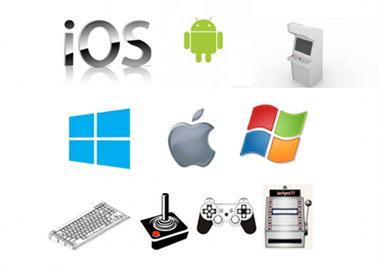 Platforms developed for by team members have included PC, Mac, iPhone, iPad, Android, AppleTV, coin-op, consoles (Wii, PS, XBox), hand-helds, online, and custom board solutions. Genres have ranged from shooters to music games to sports games to strategy games to simulations puzzle to card and casino games.